I absolutely adore making earrings. There are so many different designs to come up with and what's more, they are fast projects. There is nothing like instant gratification, is there? So if you are also of like mind, perhaps you might be interested in this book sent by Lark Crafts for review. 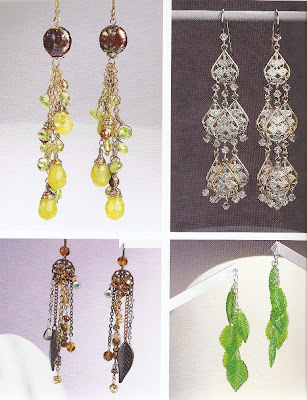 A Bounty of Bead and Wire Earrings: 50 Fun, Fast Jewelry Projects is mega collection of earring tutorials by various artisans. Many of the smaller projects are very easy to learn to make especially if you are a beginner. 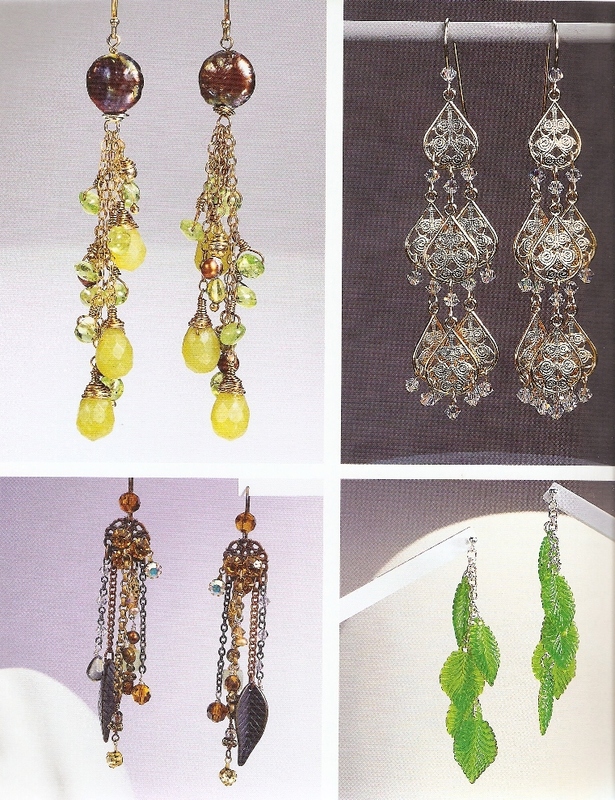 Also useful is a two page article on the different types of beads. For instance, I did not know that a go-go bead (a round, off-center donut) is also called a magatama. 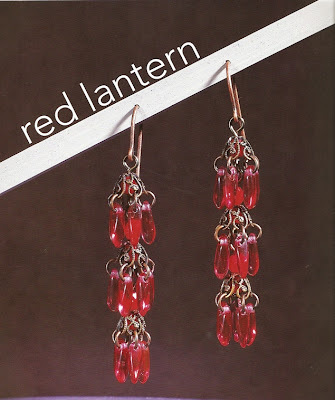 Many of the earrings are large chandeliers which will delight those who love statement earrings. 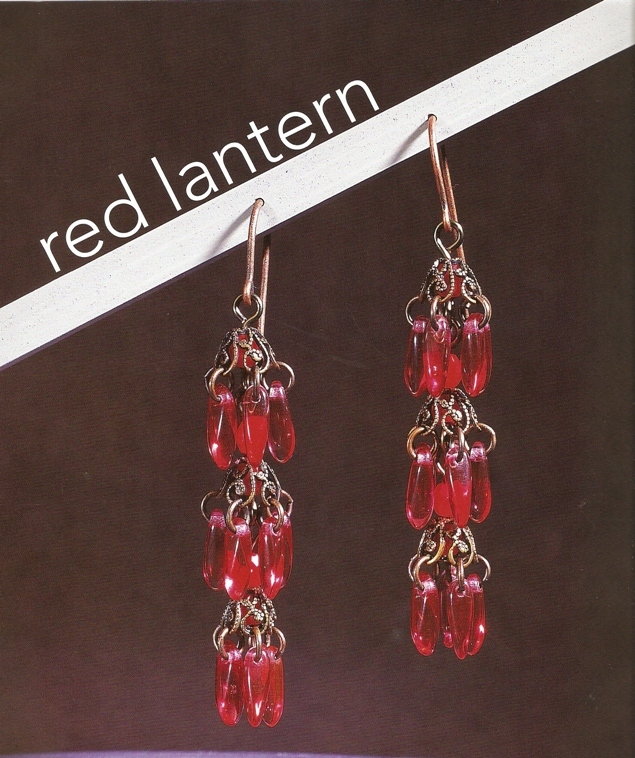 One of my favorites is this clever bead cap and dagger earrings design called Red Lantern by Cynthia Deis. I particularly liked a number of Melody MacDuffee's designs where she shows how to make delicate filigree inspired wire work by twisting fine strands together. 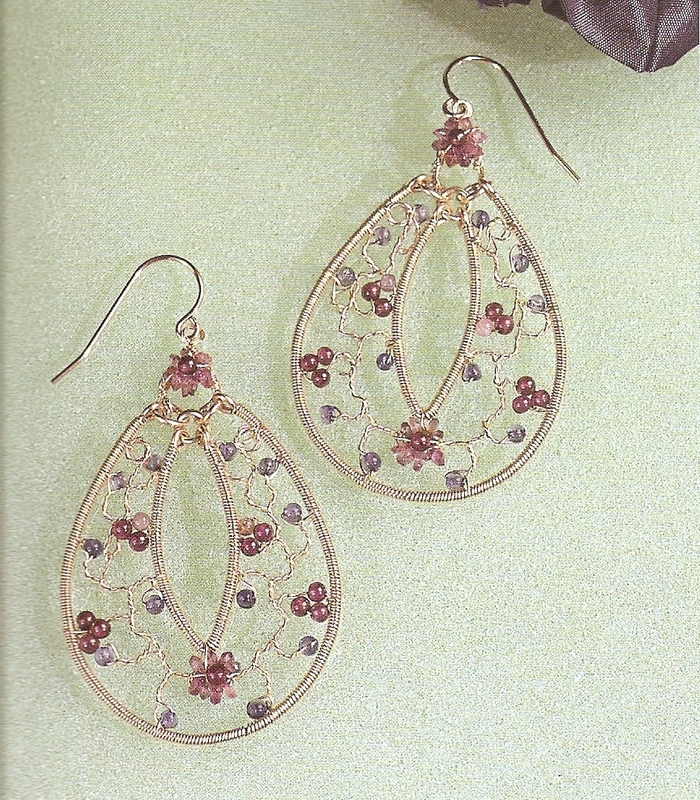 The design below is naturally called, Filigree! And here is the Bollywood Dreams one using carnelian beads and gold wire. It's a wonderful collection of inspirational designs, for sure!